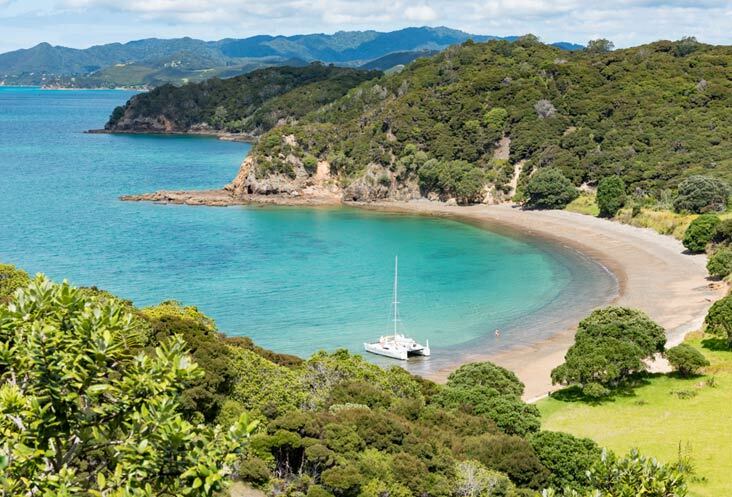 Join the Barefoot Sailing charter crew and discover the magic of sailing in the Bay of Islands. Looking for something a little different? 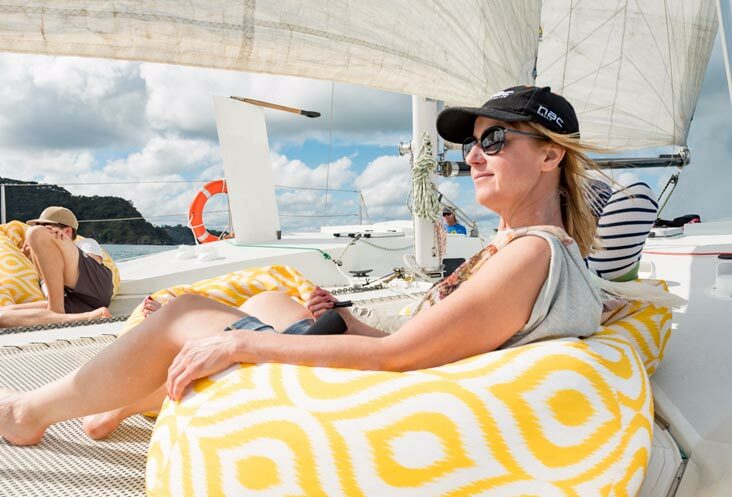 You’ll feel like part of the crew, with a day of sun, sea and smiles! 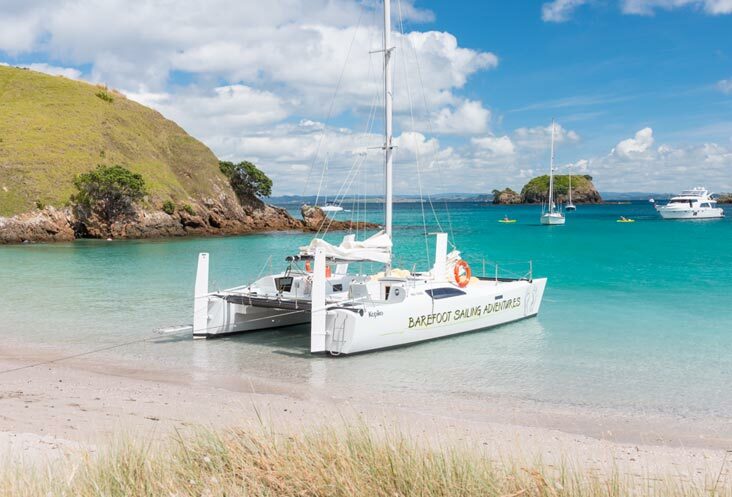 Take a swim, snorkel, or a hike, there’s something for everyone, and whether you’re a first-time sailor or a seasoned professional, you’ll have a great time with Barefoot Sailing Adventures. 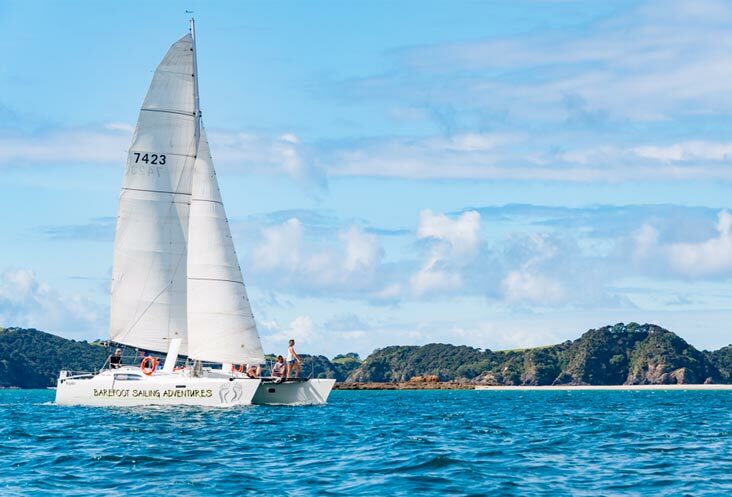 Choose from one of our popular cruises – Island Hopper Day Cruise or a Sundowner Evening Cruise. 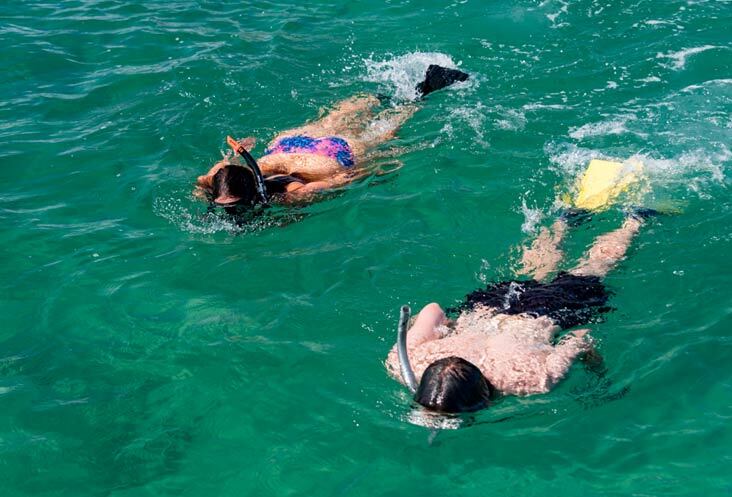 You could also take the option of a private charter for exclusive group bookings or overnight adventures. 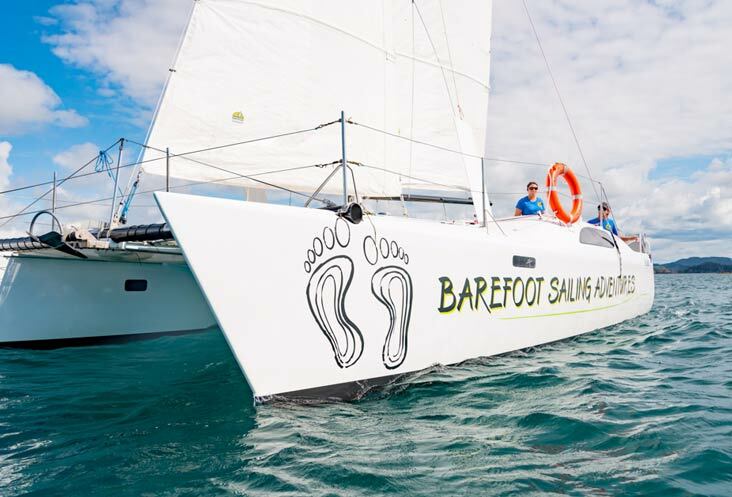 Here at Barefoot Sailing, our friendly crew is ready to take you on a sailing trip you’ll never forget. So kick off your shoes and step onboard for the trip of a lifetime.